Almost anywhere it rains, it can flood. Even if you live in an area of that you think isn’t at risk, preparation is just as critical as with other types of emergencies. Before we get into how you can prevent, limit or react to flooding, it’s important to note that flood damage is typically not covered by your homeowners or renters insurance. There are specialized flood insurance programs that we can discuss with you. Contact us for more information. Build an emergency kit for your family containing such items as drinking water and nonperishable food for each member of your family (two-week supply), flashlights, a radio, extra batteries, a first-aid kit, necessary medications, personal hygiene items and copies of important documents. Create a communication plan so family members can reach one another. Elevate your furnace, water heater and electric panel in your home if live in an area with a high flood risk. Consider installing “check valves” to prevent floodwater from backing up into the drains of your home. If possible, construct barriers to stop floodwater from entering your home and seal basement walls with waterproofing compounds. Get information from the radio or television. Move immediately to higher ground if there is any possibility of a flash flood. Do not wait for instructions to move. If you need to evacuate, secure your home and move essential items to an upper floor. Turn off utilities if instructed to do so, and disconnect electrical appliances. However, do not touch electrical equipment if you are wet or standing in water. Do not walk through moving water — it can make you fall. Use a stick to check the firmness of the ground in front of you. Do not drive into flooded areas. If you are caught in your vehicle in floodwater, abandon your car and move to higher ground if you can do so safely. If you have evacuated your home, do not return until authorities tell you it is safe. 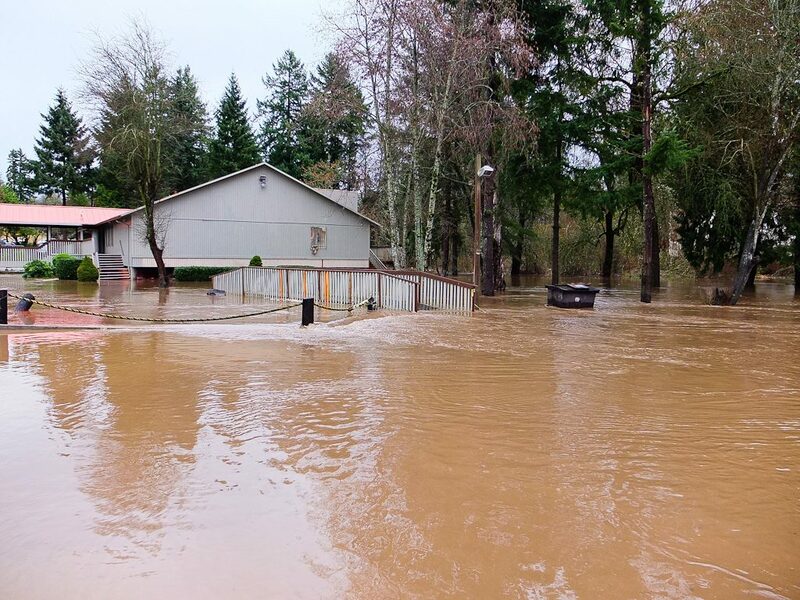 Flooding can cause emotional stress along with physical hazards, so be mindful of the well-being of yourself and your family during the aftermath. Floodwater can be contaminated by oil, gasoline or sewage, so avoid contact as much as possible. Make sure the water supply is safe to drink. Clean and disinfect everything that was in contact with floodwater. The Red Cross has a free book available called “Repairing Your Flooded Home,” which contains useful information as you clean up. It’s available at www.redcross.org. Of course, don’t hesitate to contact us as well — we’re ready to help! Flooding is one of the most common hazards in the U.S. Being prepared for any emergency is crucial for the safety of you and your family. Don’t be caught off guard! Top image by Flickr user Tom Good used under Creative Commons Attribution-Sharealike 2.0 license. Image cropped and modified from original. We're proud to feature several fine insurance companies, including Safeco. Click here for a full list of our carriers! Copyright © 2019, Independent Solutions United (License # 0791691). All rights reserved.